I have a loose caliper and am going to Homeboy Depot tomorrow. I think thier computer can tell me the color. However, it will be a code for Behr paint. Does this help? Yeah Mat pick up 5 gallons and some roller covers for me lol. Actually I can take the rear caliper to the local auto paint supplier and try matching it. Thanks for the idea! When you get the color code, let us know! I really like that color. This shop doesnt use scanners, they've been doing it along time and eyeball it. I can try some and if it works out I'll send some up the road to Ya! You should try to anodize the valve cover to match- after all, that color is anno so it'll even look more cohesive if you can figure out where to get it done. 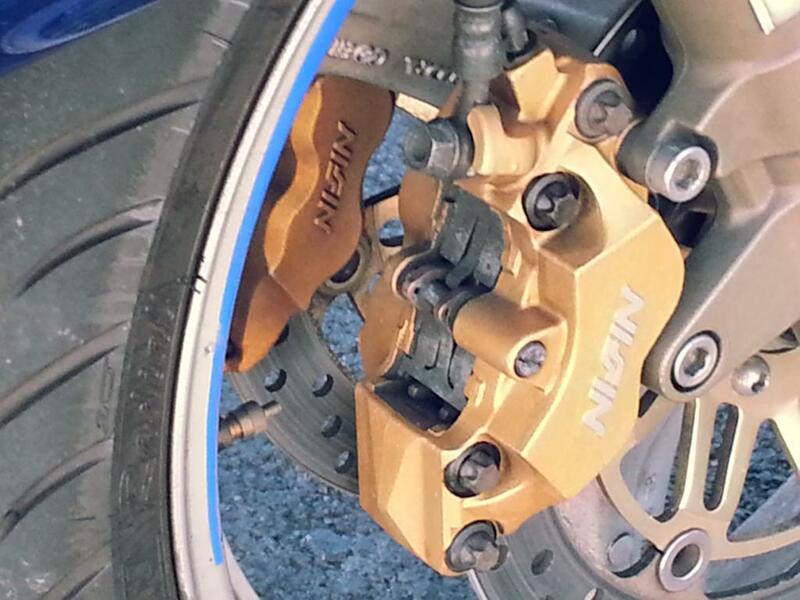 If you want Brembo gold, then hop on eBay and buy some Humbrol #54 model paint. Picked up the paint today, custom mix. 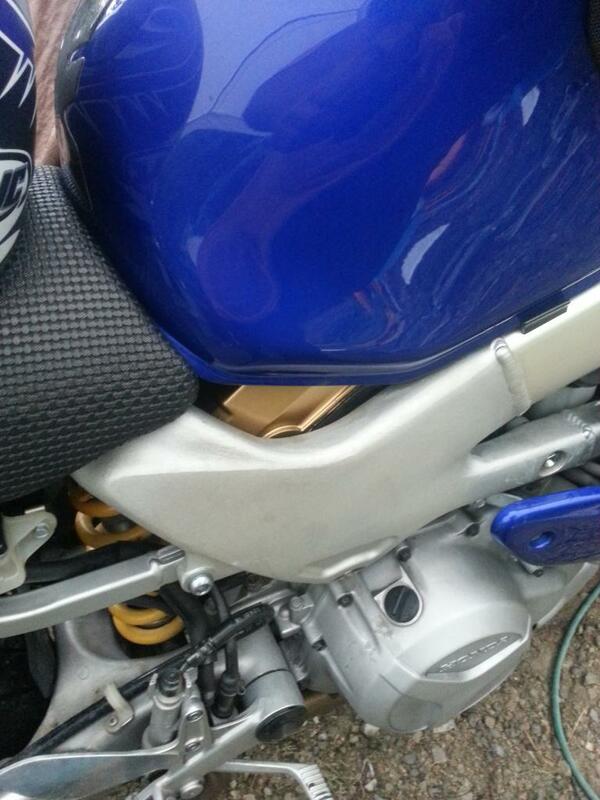 Just sitting here it might be cool to paint the radiator tanks gold along with the rear valve cover and clutch slave. Might even spray the Wyle E. Coyote throttle ramp gold too. Am I going to far? I won't be using much of the large spray can so the rest will be mailed CruxGNZ. Kinda wish I'd spent the extra $10 and gotten the gold chain. Appreciate the thought man, but no need to send me anything. I think it might look good with gold radiator covers and gold valve covers. Yeah, the mesh grills/covers that attach to the radiators. Since they pop right off, they're easy to change the color. I painted my covers black. Hey post a pic of the whole bike when you're done. It's been awhile since I've seen a gold trimmed bike. looks nice peeking through there. I bet it would look good on a red bike too!! Baby steps, it's a strong color. 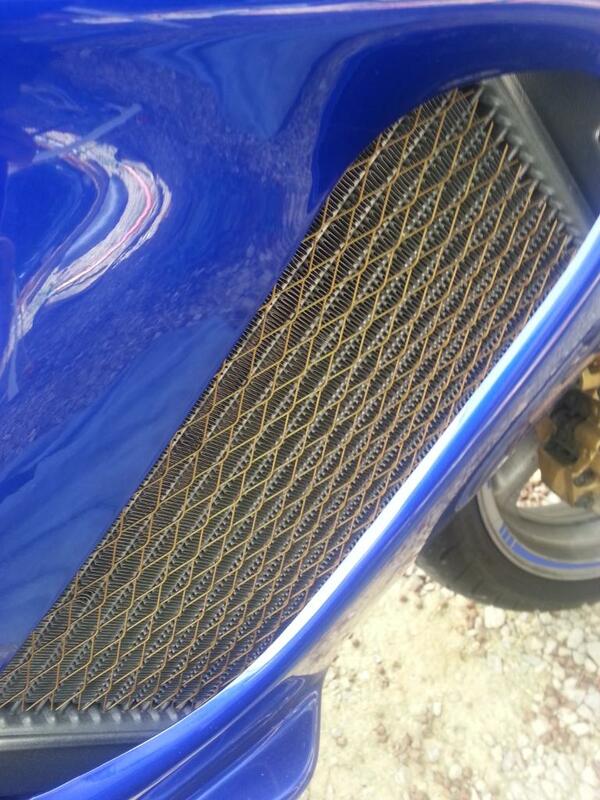 Maybe the radiator guards next like Mat suggested. A Lil Tuesday night Tinkering. Quick Reply: Gold Caliper color?